Scroggins, Anthony Lenard (21 Sep 1953 - 27 Jun 2009) . Johnny Lee Scroggins, 56, of Ozan, died Monday, June 22, 2009, in a local hospital. He was born February 24, 1953 in Ozan and was a member of St. Luke CME Church. He graduated from Lincoln High School in Washington. Survivors include his wife, Ethel Scroggins, of Ozan; five children, Jackie and James Whitaker, Tyhitia and Lynn Flenory, and LaTisha Scroggins, all of Little Rock, and Ashley Scroggins and Johnny Scroggins, Jr., both of Mineral Springs; two grandchildren, Britney Scroggins and Jayda Whitaker, both of Little Rock; his father , David Scroggins, Sr.; three brothers, David and Sylvia Scroggins, Jr., of Denver, Colo., the Rev. Jessie and Mary Scroggins, and Solomon and Gracie Scroggins, both of Ozan; two sisters, Marie and R. C. Taylor, Jr. and Helen and John Wayne Armstrong, of Ozan, and a host of relatives and friends. Visitation will be held at 11 a.m. Saturday, June 27 at St. Luke CME Church with the Rev. Anretha Walker, officiating. Burial will be at St. Luke Cemetery in Ozan, with arrangements by Hicks Funeral Home, Inc. in Hope. Bobby Scroggins, 58, of Dawsonville died Tuesday. Memorial service, 1 p.m. Saturday, Open Arms Baptist Church. Bearden Funeral Home, Dawsonville. Bobby Scroggins, 58, of Dawsonville died Tuesday June 16, 2009 at his residence following a short illness. Born April 1, 1951 in Fulton County, had had lived in Dawson County over 8 years having moved from Forsyth County. Surviving are his wife, Kathy Scroggins , Dawsonville; children, Sammy Scroggins, Canton, Kate Brannon, Dawsonville, Steven Brannon, Dawsonville, Ashley Brannon, Dawsonville; sisters, Mary Ann, Becky, Carolyn, Linda; brothers, Hubert, Ronnie, Ralph, and grandchildren, Anthony Scroggins, Tori Scroggins. Memorial services will be held Saturday June 20, 2009 at 1 o’clock at Open Arms Baptist Church, 775 Highway 9 North, Dawsonville. Rev. Bobby Pierce and Rev. Eddie Crain will officiate. Condolences may be sent to www.beardenfuneralhome.com. 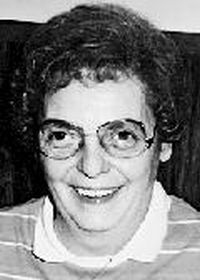 TREMONT - Wanda Mae Ayers, 68, of Tremont, Ill., died at 11:15 a.m. Wednesday, June 17, 2009, at Pekin Manor in Pekin, Ill.
She was born May 23, 1941, in Battle Creek, Mich., to Dale and Pauline Laxton Kissinger. Surviving are one son, David (Amy) Ayers of Tremont; one daughter, Angela Toungett of Lawrenceburg, Tenn.; one granddaughter, Camiella Ayers; three brothers, Dale Kissinger Jr., Bobby Kissinger and Danny Kissinger of Battle Creek, Mich.; and three sisters, Carol Scroggins  and Virginia St. John, both of Battle Creek, Mich., and Judy Hamlin of Corbin, Ky.
She was preceded in death by her parents; two sons, Lawrence J. and Thomas D. Wise; and one sister, Patsy Wright. Wanda was a member of First Baptist Church in Morton, Ill.
She owned and operated the Alamac Motel in Tremont for 30 years. Her funeral will be at 1 p.m. Monday, June 22, 2009, at Davis Mortuary, Tremont Chapel. The Rev. David Craig will officiate. Visitation will be from 12 noon until the time of services Monday at the mortuary. Burial will be in Mount Hope Cemetery in Tremont. Memorial contributions may be made to the Cancer Treatment Center, 603 S. 13th St., Pekin, IL 61554. To express condolences online, visit www.davismortuaryinc.com. Howard Neal Wilson, age 41, of Wewahitchka, Fla., passed away Tuesday, June 16, 2009. He was born Oct. 29, 1967, in Fort Walton Beach, Fla.
Neal is survived by his wife, Sheila M. Wilson; one daughter, Cassandra J. Wilson; one son, Westley N. Wilson; grandmother, Merle Wilson; mother, Jeanette Scroggins  and stepfather, Shelley Scroggins 39589]; one sister, Susan Guidry and husband Pierre; one brother, Doug Wilson and wife Leigh; three stepsisters, Cheryl Campbell, Loretta Crossley, and Margie Renfro; three nieces, three nephews, and his fellow coworkers of the IGA in Wewahitchka. Funeral services will be held Saturday, June 20, 2009, at the Black Creek United Methodist Church, beginning at 11 a.m., with Pastors Bill Hunter and Louis Taunton officiating. A time of visitation will be held one hour prior to the service. Interment will follow in the Black Creek United Methodist Church Cemetery. Flowers are being accepted or donations may be made to an account in Neal's memory at the Banktrust in Freeport, Fla., or to the Visions Bank in Wewahitchka, to offset funeral expenses. Charles Hudnall, 63, was born on June 5, 1946, in Gilmer, TX, to Elwyn and Leena Faye Hudnall. He passed away in Oklahoma City, on June 15, 2009. Charles was retired from the United States Navy. He was preceded in death by his mother and father Leena Faye Hudnall-Ellison and Elwyn Hudnall, stepmother Elsie Hudnall, grandmother Jewell Hudnall-Moore, Charles was survived by wife Katherine R Hudnall, son John A Hudnall, daughters Tammy Hudnall Brondsema and Kimberly Hudnall, brother Thomas Ellison, sisters Pam Scroggins, Linda Ellison, and Barbara Ellison, four grandchildren Alan Brondsema, Danielle Brondsema, Sydney Brondsema, and Elizabeth Brondsema, brother-in-law and wife James and Bettie Gray, sister-in-law and husband Susan and Bill Odom, and a father and mother-in-law Delwin and Viola Gray. A funeral service will be conducted, under the direction of Ford Funeral Service, at Ft. Sill National Cemetery Friday at 1 pm. In lieu of flowers, please make donation to the military related charity of your choice. James E. "Jim" Valdez, age 69, a resident of Colorado Springs since 1962, passed away on Tuesday, June 16, 2009 at his home, surrounded by his family. He was retired from the United States Civil Service at the United States Air Force Academy and in his retirement years, worked for Enterprise Rent a Car. Jim was born on May 16, 1940 in San Luis, Colorado to the late Felipe and Estella (Sanchez) Valdez. He married Ruth Vialpando on July 29, 1962 in San Luis. He enjoyed football, baseball, fishing and working, but he especially enjoyed his family. He is survived by his loving wife, Ruth; two daughters: Lori (Kenneth) Scroggins and Karen Valdez, all of Colorado Springs. He is also survived by four brothers: Paul Valdez of Alamosa, Del (wife, Marie) Valdez of Grand Prairie, Texas; Larry (wife, Martha) Valdez of Parker, Colorado; Anthony (wife, Linda) Valdez of Albuquerque, New Mexico and his sister, Clorinda (husband, Eppie) Ortega of Albuquerque. He is also survived by his grandchildren: Jennifer and and Connor Scroggins; and numerous nieces and nephews. A visitation will be held from 6 - 7 p.m. on Friday, June 19, 2009 at the Shrine of Remembrance "America the Beautiful" Chapel. A Rosary service will follow the visitation at 7 p.m. in the Chapel. Mass of Christian Burial will take place at 10 a.m. on Saturday at St. Joseph Catholic Church - Southgate, 1830 South Corona Avenue, Colorado Springs. Interment will follow at Fairview Cemetery, Colorado Springs. Blessed be his memory. DELGADO, OLIVIA, M., 85, passed away June 12, 2009. She was born in Tampa, FL to parents from Asturias, Spain and recently moved to Birmingham to be closer to her family. Olivia was married to the late Amado Delgado, Jr. She was a loving and dedicated mother who in her youth enjoyed dancing and social events. She worked in the women's retail clothing business. In her later years she enjoyed visits with her grandchildren, golf, Tampa Bay Buccaneers football, and caring for her pets. She was preceded in death by her parents, three brothers, and a sister, all of Tampa, FL. She is survived by her loving family who will miss her dearly including her son, Dr. Dennis G. Delgado (Martha); granddaughters, Deana Delgado Callison (Jim), Denise Delgado Scroggins  (Bryan) , and Michelle Delgado; great-granddaughter, Ava Scroggins , all of Birmingham; one niece, Carmen Putrow (Frank) of Clearwater, FL; and a grandnephew, Michael Putrow of Tampa, FL. Visitation will begin at 6:30 p.m. on Wednesday, June 17, 2009, prior to prayer service beginning at 7:15 p.m. at St. Francis Xavier Catholic Church, Montclair Rd., Birmingham. Rev. John McDonald officiating. Funeral Mass and burial in Tampa, FL. OREGON, Mo. — Francis L. Scroggins, 62, passed away Saturday, June 6, 2009, at his Oregon home. He was born Sept. 21, 1946, in Forbes, Mo. Francis graduated from Oregon High School in 1964. He married Nettie Acton in 1966. They later divorced. Francis operated the Phillips 66 Station east of Oregon, and later sold Mooreman's Feed. He also operated bars/restaurants in Oregon before purchasing The Mint in Forest City in 1988. He continued to operate The Mint, and also owned Skidmore Food and Drink. He was preceded in death by his parents, Leonard  and Berneta (Barrett)  Scroggins. Survivors include his children: Brett of Forest City, Brian of Topeka, Kan.; and Christie of Oregon; two grandchildren, Brody and Keagen Scroggins; brothers: LaVerne of St. Joseph; Larry  and his wife, Ronna Beth , of Oregon; Vick of Forest City; and Dave and his wife, Judy, of Forbes. Services: Wednesday, 2 p.m., Chamberlain Funeral Home, Oregon. Interment: Forbes (Mo.) Cemetery. Family visitation: Tuesday, 6 to 8 p.m. Copyright, 2009, St. Joseph News-Press (MO), All Rights Reserved. Scroggins, Elsie Marie Spaulding (4 Mar 1924 - 11 Jun 2009) . Wife of Scroggins, Joe W., Jr. (26 Apr 1930/1 - 15 Jan 2011) . Survivors include his children: Brett  of Forest City, Brian  of Topeka, Kan.; and Christie  of Oregon; two grandchildren, Brody  and Keagen  Scroggins; brothers: LaVerne of St. Joseph; Larry  and his wife, Ronna Beth , of Oregon; Vick  of Forest City; and Dave  and his wife, Judy , of Forbes. Louise Jones, 82, of Hillsboro, died May 27, 2009. Louise Jones was born Dec. 3, 1926, in Pleasant Hope, Mo., a daughter of Rollo  and Erma (Flanagan)  Scroggins. She was raised on the family farm near Bolivar, Mo., and graduated from Bolivar High School in 1944. There was a shortage of teachers because of World War II and the school board asked her to teach at Southwest Baptist College. In 1944 she taught and spent summers attending college. In 1947 she began school full time and graduated in 1949 with a bachelor's and a lifetime teaching certificate. She moved to Richland, Wash., to teach, and traveled to Alaska to attend summer school. She also participated in summer mission programs. She married Warren Jones , June 5, 1954, and they came to Oregon that summer. She taught both full time and as a substitute and worked for Tektronix. A member of Hillsboro Presbyterian Church, she also volunteered with Tuality Hospital in Hillsboro and Meals on Wheels. She enjoyed flower and vegetable gardening, baking, sewing and attending her grandchildren's activities. Survivors include her daughter and son-in-law, Kristy  and Mike Jones ; brothers, Larry , Lee  and Loy  Scroggins; and a grandson and two granddaughters. Scroggins, Melvin, Jr. (28 May 1944 - 4 Jun 2009) [45209&]. Husband of Scroggins, Dorothy J. (8 May 1951 - 5 Sep 2016) [45211:&]. Father of Scroggins, Elvin DeWayne (4 Aug 1971 - 20 Nov 2004) [42538:&]. Funeral for Leonard Sweat, 79, of Nacogdoches will be at 1 p.m. Thursday, June 4, 2009, Zion Hill First Baptist Church with Elder C.L. King officiating. Burial will be in Pine Grove Cemetery. Mr. Sweat died May 28, 2009, in Westward Trails Nursing Home. Born July 22, 1929, in Grapeland, he was the son of Robert and Beulah Horn Scroggins. He was affiliated with Bethel Temple Church of God in Christ. Survivors include his wife, Willie Sweat of Nacogdoches; sons, Leonard E. Sweat and Ray Sweat, both of Nacogdoches; daughters, Shirley Linson and Amanda Garner, both of Nacogdoches, Joyce Whitaker of Arlington and Marsha Lacy of Dallas; 14 grandchildren; 22 great-grandchildren; and two great-great-grandchildren. Visitation will be from 11 a.m. until 8 p.m. Wednesday, June 3. Sid Roberts Funeral Home. Funeral for Vonda Sue Scroggins, 51, 11 a.m. Thursday at Spry, burial in Antioch Cemetery. Visitation 9 a.m. to service time. Mrs. Scroggins died May 31, 2009. Vonda Sue Scroggins, 51, of Athens died Sunday. Visitation and services will be held Thursday. Visitation will be from 9 a.m. until start of service at 11 a.m. in Spry Funeral Home chapel. Burial will be in Antioch Cemetery. Patricia Ann SCROGGINS Pat was born in Vinton, Iowa. October 29, 1930, and passed away May 21, 2009. Preceeded in death by husband Richard , 1999, sons, Steve  , 2001 and Rick , 2003. Survived by daughters, Marcella Sullivan , Vicki  (Jim)  Oehrle, Sandra  (Gary)  Snider, Brenda Kirchner  and son; Lynn  (Rose)  Scroggins. She has seven grandkids and 11 great grandkids. Pat was a gentle person who loved her husband of 51 years and always had time for her children. Mom, you were the love of our life and you will never be forgotten.We will love and miss you always. Remembrance may be made to the . Memorial Services will be June 6, 2009 at 11:00 am at Yarington's, 10708 16th Ave SW, Seattle. PLATTSBURGH — Mr. Don E. Scroggins, 67, of Monty Street, passed away Wednesday, May 13, 2009, at the CVPH Medical Center in Plattsburgh. He was born in Ettowah, Tenn., Nov. 27, 1941, son of James  and Evelyn (Burnette) Scroggins . Don is survived by his wife, the former Sharon Premore  , whom he married Aug. 8, 1964, at Our Lady of Victory Church in Plattsburgh; one son, John M. Scroggins  of Plattsburgh; one daughter, Katherine Young  and her husband Neil of West Chazy; one precious grandson, Hunter Young of West Chazy; two brothers, James R. Scroggins  and his wife Priscilla  of Melbourne, J. David Scroggins  and his wife Suzanne  of Warrensburg; two sisters, Rebecca "Becky" Brown  and her husband Collin  of Plattsburgh, Margaret "Cricket" Terry  and her husband Donald  of Plattsburgh; and many brothers-in-law, sisters-in-law, nieces and nephews. He is predeceased by his father, James R. Scroggins 26682]; and one brother, Stanley E. Scroggins . Doris N. Lalla, 70, of Lee's Summit, Mo., passed away on May 30, 2009, peacefully at home surrounded by her loving family from a long illness. Visitation will be 10 a.m. to Noon Tuesday, June 2, at Langsford Funeral Home. Entombment will be private. Memorial contributions may be made to Children International, 2000 E. Red Bridge Rd., Kansas City, MO 64131 and Odyssey Hospice, 800 E. 101st Terrace, Suite 150, Kansas City, MO 64131. Mrs. Lalla was born Dec. 3, 1938, in Indianola, Miss., to Johnny Leroy and Inas N. Burton. Prior to her passing , she and her husband, Frank Lalla, operated several businesses in Raytown and Lee's Summit areas. Mrs. Lalla's greatest joy in life was spending time with her husband, children and grandchildren - all of whom loved her dearly. She was preceded in death by her parents. She is survived by her husband, Frank of the home; three children, Patrick Scroggin  (Patty) , Vickie Wiedenmann (Bill), and Robin Valentine; stepdaughter, Patti Sandeen. She also is survived by her six grandchildren, Tisha , Missy , Dan, Tom , Katie, and Ben; her sister, Ann Wheaton (Claire) of Michigan; her brother, Sonny Burton of Lee's Summit; her close cousin, Margie Matthews (Richard) of N. Little Rock, Ark., and many additional family members. Special thanks to Odyssey Hospice, especially Tracie, Latrece and Suzanne. Arrangements: Langsford Funeral Home, 115 SW Third Street, Lee's Summit, MO 64063 (816) 524-3700.